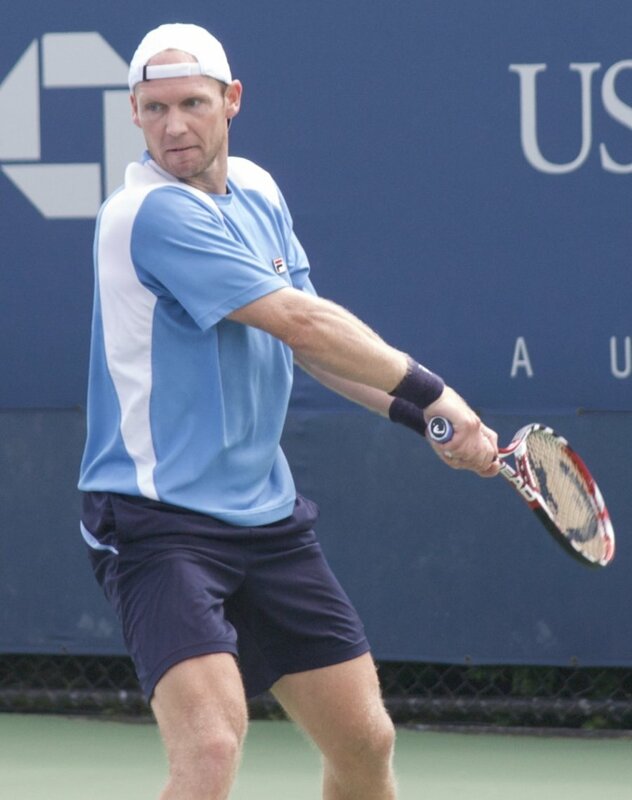 Rainer Schüttler is one of the best German tennis players. After 17 years of intensive career, he retired in October 2012. Today, he is working with his former coach Dirk Hordorff and coaching several players, including Lithuania's number-one Ričardas Berankis, whom Schuttler would like to see among the world's top 50 players. In an exclusive interview to the Lithuania Tribune, he talks about his own career as well as that of his Lithuanian student, Berankis. You retired in October 2012, after 17 very successful years in tennis. What was the hardest thing for you in your retiring? Actually, I didn’t find it so hard to retire. I played many years on the ATP Tour and I was already 35 years old when I decided to stop. I just felt that it was time to move on and to do something else. It is a normal process and the younger players are getting better and better and taking over the older generation slowly. Today, two and a half years later, how does it feel without playing? Do you miss it? Luckily, I am still involved in tennis. Tennis was my life and passion for over 20 years and it would be very hard to live without it. And I play from time to time. Now I enjoy it more than ever because I don’t have any pressure to practice, to win and to make points for the ranking. So it is pure fun now. The decision to retire, when did it come to you? 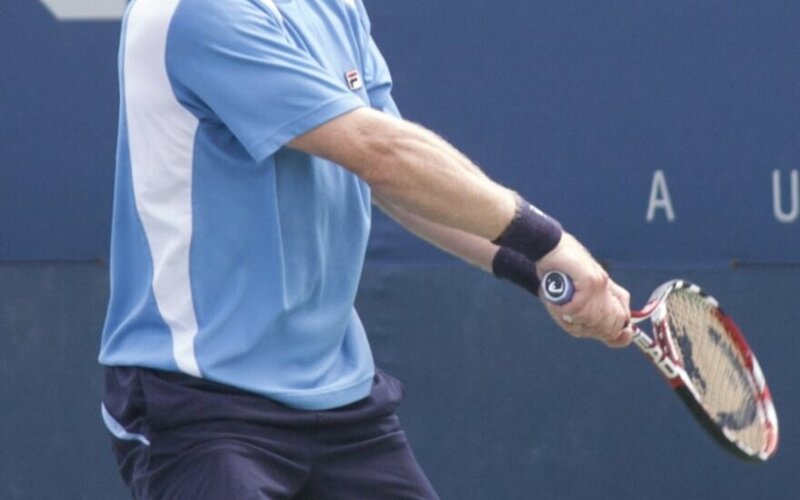 Did you have any retirement plans before you left professional tennis? Yes, I was already doing a few different things during the last years of my career. But of course to retire is different and I had to find out what I really enjoy doing. Your highest rank was number five in the world. Today, after summarizing your career, do you regret that you were not ranked higher? Well, first of all I am very happy with my tennis career. Of course afterwards it is easy to say I should have done this and why did I make this decision, etc. Mistakes happen when you have to make decisions. It is important to minimize the mistakes. I was very lucky that my manager and coach Dirk Hordorff was guiding me through my entire career. Especially when I was a junior and young player, he was planning and scheduling my career. Without Dirk I wouldn’t have has such a long and successful career. That’s why coaches are so important for younger players to guide them and to reduce mistakes. Australian Open final 2003. You lost to Andre Agassi 6-2 6-2 6-1. Did you feel disappointed after the match or you were satisfied with being in the final and finishing as a runner-up? Of course I was disappointed after the match. I had a great pre-season and I was coming to Australia in great shape and well prepared. The tournament before in Sydney was a great success already and I took the confidence to the Australian Open. It took me some time after the match to get over the three set loss to Andre in the finals, but then I started to realize that I achieved something special. Something I was always dreaming about when I was a kid. Especially I realized it when I came home and all my family, friends and even the media made a big deal out of it. What did you feel when you won an Olympic silver medal? Honestly, during the Olympic Games in Athens, I experienced the best and the worst feelings I ever had in relation to tennis. I was never so sad after a tennis match than after the doubles final where Nicolas Kiefer and I won the silver medal. We had 4 match points to win the gold medal, but we lost the match in five close sets. After the match we were completely destroyed. We left everything we had on the court during the match and we felt so empty. I remember that we were sitting hours and hours next to each other without saying a word. Just a few days afterwards I started to feel better and I realized how much it means to my family and friends that we won the silver medal. I visited my parents and my father asked me a few times if we shouldn’t invite our relatives because they were watching with my parents the Olympic games. I didn’t want to, but suddenly my aunt, uncle, cousins, etc. were coming because they heard that I came to visit my parents. So after one hour the house was full with friends and family and everybody wanted to see the medal. This evening changed my feelings and I realized that I achieved something special I can be proud of. When you look back at your career, what were the high and the low points in it? Everything I experienced brings me to what I am today. Luckily, bad moments pass and good moments come again. For sure, a very special moment was when I won my first ATP title in 1999 in Doha. Actually, all titles I won have a special place and memories. Of course Australian Open 2003, Semifinal during the Masters in Houston 2003, Monte Carlo finals 2004, Olympic silver medal and semifinals at Wimbledon against Rafa Nadal in 2008 were very special and I will always remember these moments. When you played in the most prestigious courts around the world, with thousands of fans around you, how did you managed to concentrate on the match? For me it was not so difficult to play in front of a big crowd. Actually, it was motivating me to perform better. I was a bit nervous walking out to the court, but the second I was hitting and playing the ball, everything was fine and it was all about winning the match. I would like to take you to Wimbeldon 2008 where you reached the semi final. On your way to the semis you won against Arnaud Clement 6–3, 5–7, 7–6, 6–7, 8–6 in a match that took more than five hours over two days. Take me through what was going on in your head during the night after the first part of the match. Did you manage to sleep? Well, it was an unbelievable match and atmosphere. Arnaud and I are still talking about it from time to time. We always have close matches because our game style is very similar. Well, I didn’t have so much time to sleep. We played long and we had to stop because of darkness. Afterwards, I had treatment, dinner and went back to the house. It was impossible for my mind to stop because I was playing so many points in my head and what I made good and what I have to change for the next day. After all treatment and preparation for the next day was done, I slept a few hours, but it was for sure not a relaxed night. After your retirement you are working as a coach. What aspects of your experience as a player help you most in coaching? Tennis in general has changed a lot. It is getting much more physical and the players these days create a team around them to reach their maximum potential. But the basis of hard work, discipline, technique and tactics are still the same. It is important for players to have experienced coaches around them to be able to prepare for special moments and to learn from their experience. What have you learned about tennis as a coach? I look at tennis in a different way as a coach. As a player you are much more emotionally involved and sometimes see what you would like to see. I try to look at a bigger picture and not so much at this moment. I try to plan long-term and try to build up something consistent and to improve the game of the player every single day. After your career as a player, what are your goals as a coach? As a player, I wanted to be the best player I could be. As a coach, I would like to be the best coach, I possibly could be. You are working with Dirk Hordorff in coaching Lithuanian Ričardas Berankis. 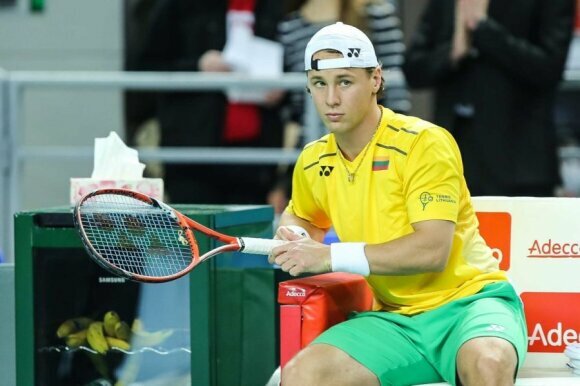 In your opinion, what does Berankis need in order to be among the top 10 players in the world? 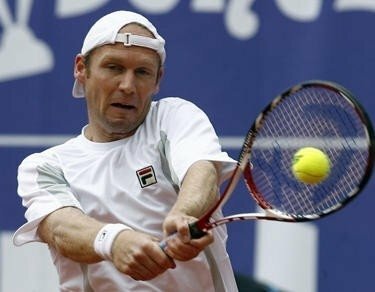 Ričardas is a great person and a great tennis player. He was number one in the world in the junior years. After his injury, he made it back to the Top 80 during the last year. Ričardas is a hard worker, has great movement and the ability to play extremely fast. He will make his way up in the ranking. Ričardas beat last year [Milos] Raonic. So he proved that he can beat Top 10 players. He has to work hard to be able to play this level of tennis more often and consistently. Where could he place by the end of the 2015 season? Top 30 is a possible goal? I don’t like to mention a number. Ričardas has great potential. It can go so fast to climb up the ranking, like it happened with me in 1999, but I think it is important to work on improving every single day. If you do this, at some point, the results will follow. Ričardas Berankis is an important part of the Lithuanian Davis Cup team. Can he take all the responsibility and lead the Lithuanian team? Ričardas is experienced enough to take all responsibility he needs to take. He enjoys playing for his country and it makes him proud. He always gives everything on the court and that is one reason why I enjoy working with him. He never looks for excuses and is ready to work on his weaknesses to improve. Where will we see Rainer Schüttler in five years from now? No idea. I can answer this better in five years from now. In the end, tell our readers and your fans something that no one knows about you. If I said it, then it would not be a secret anymore and everybody would know it. Special thanks to Mr. Dirk Hordorff for helping arrange this interview.